ICHRI: Bahman Ghobadi, a prominent Iranian filmmaker known for such award-winning films as “A Time For Drunken Horses,” and “Turtles Can Fly,” told the International Campaign for Human Rights in Iran today that his brother, Behrouz, was arrested on November 4. Fearing for the health of his brother who has several serious illnesses, Ghobadi told the Campaign that the family has no information about his condition since his arrest. He has asked the Iranian authorities to guarantee his health in detention and to respect his basic rights, including allowing him to contact his family and to have access to a lawyer. The International Campaign for Human Rights in Iran was informed that lawyer Ahmad Saeed Sheikhi has agreed to represent Behrouz Ghobadi. “It appears that Bahman Ghobadi’s brother has been arrested by the Intelligence Ministry. I have no more information on this, as the Ghobadi family only asked me today to assume his representation. I will submit my power of attorney to the Hall of Justice tomorrow,” Sheikhi told the Campaign in a telephone interview. Over the past three years, the International Campaign for Human Rights in Iran has documented several cases of arrest or persecution of family members of Iranian political activists and journalists who themselves live outside Iran. In all noted cases the family members have not been implicated in any crimes and their summonses, arrests, interrogations, and intimidation have all been aimed at putting pressure on the activists and journalists to stop their professional activities outside Iran. It is feared that the arrest of Behrouz Ghobadi may be such a case. 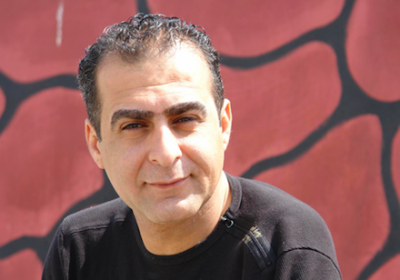 His brother, Bahman Ghobadi, is an outspoken critic of the Iranian government’s censorship. In 2009 he directed an internationally acclaimed film, “Nobody Cares About Persian Cats” in which he chronicled the struggles of young underground Iranian musicians trying to evade government censorship. The movie decried the lack of freedom of speech in Iran, and since the release of the film Bahman Ghobadi has resided outside the country, where he has continued working on films highly critical of the Iranian government. “I ask the authorities to guarantee their health, to allow them access to a lawyer and to announce the reason for their arrests. Nowhere else in the world would they arrest someone for two weeks without announcing why they arrested him. This is our problem. I don’t wish to be the spokesperson for my brother or for my family,” Ghobadi told the Campaign, “but I want to ask why the families are being abused and left in the dark? What crimes have the mothers, sisters, and brothers outside committed? Those on the outside are more imprisoned and tortured than the ones inside the prison. Why should these innocent people be imprisoned?” asked Ghobadi. Speaking of his fears for his brother, Bahman told the Campaign, “A few years ago, my brother was involved in a car accident on an unsafe road inside Kurdistan. His leg has several platinum pins in it and this has led to immobility and to gout. He has also developed asthma and a heart condition as a result of his immobility. Therefore we are afraid for his health. I am puzzled why, in a country where they say the law rules, they won’t tell his family where he is? What’s his crime? If he is a criminal and he must pay for his crime, then it must be proven in a court. Why won’t they provide any information?” asked Ghobadi. Ghobadi stressed that his brother was not involved in any political activities in Iran, and that in fact he was a simple businessman. “[My brother] had immigrated to Sulaymaniyah in Iraq, where he opened a shop so that he could provide financially for his wedding. His son was born two weeks ago. On November 4, he and two of his friends were going from Sanandaj province in Iran, where they had travelled to see family, to Tehran. It was 3:30 a.m., and they had planned to then travel on to Georgia at 12:00 [that day],” he said. Ghobadi told the Campaign that was the last anyone heard of his brother. “I didn’t want to interfere personally, because my family thought we should wait. But it has been more than two weeks without any news. We are only announcing that my brother has disappeared. We want the authorities to tell us through legal means what my brother’s and his friends’ charges are and why they have been arrested. Our concern is their health, especially my brother who has platinum pins in both his legs. The smallest blow would lead to the need for a new operation and could worsen his heart condition. We are greatly worried for his health,” said Ghobadi. The only way to end 34 years of barbarism at the hands of the Messianic Islamist Rapists, “reformers” and all is regime change. These anti-Iranian, warmongering savages are reform-proof.